The John C. Hitt Library 21st-Century expansion project phase one is estimated to open in early 2020, the University of Central Florida said. 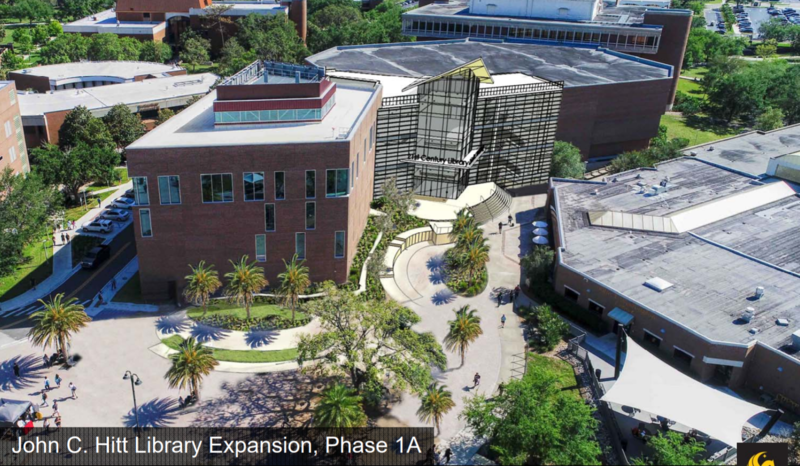 in 2018, UCF completed construction of its four-story Automated Retrieval Center (ARC) which can accommodate 1.25 million print volumes and will house 300,000 of the most used and current books to allow for easier access for students throughout the year. Wait times for these books have been approximated to be between 5-10 minutes from the ARC to the circulation desk. The sleek second entrance to the library, closer to the Student Union and across from the John T. Washington Center, features a glass facade and set of stairs similar to the steps of the Recreation and Wellness Center. 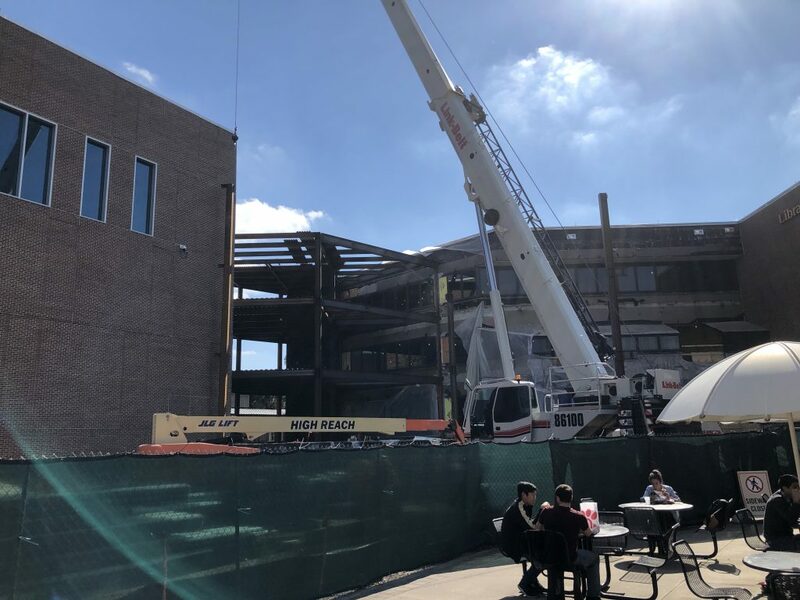 UCF said books continue to be loaded into the Automated Retrieval Center and if a book cannot be found on the shelf to place a request for the item in the UCF Catalog.